Not sure if they're on Twitter but I want to thank the ancient Romans for giving us "Saturday", alternative spelling "Satyr Day". The most famous of the Satyrs was Pan for whom the Pancake was named in his honor. 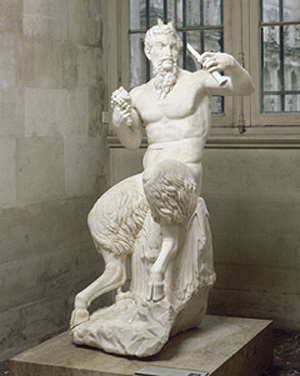 Having pancakes on Satyr Day is a time-honored tradition. Roman-style Pancake recipe used imported flour from Gaul, honey from North Africa, eggs from Judea and butter from Spain. Back then you could have rightly called it the International Empire of Pancakes. The Romans couldn't or wouldn't conquer Scotland or Caledonia as they called it. That's why pancakes are called "drop scones" in Scotland. 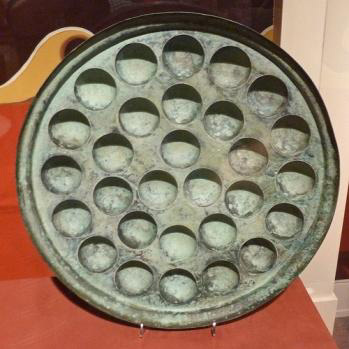 I was only kidding but look at this - the reality of Roman pancakes and this Roman pancake pan called a crustulum. Imagine the Roman Empire hadn't fallen but had continued to conquer the world. We might have had the International House of Crustulum.